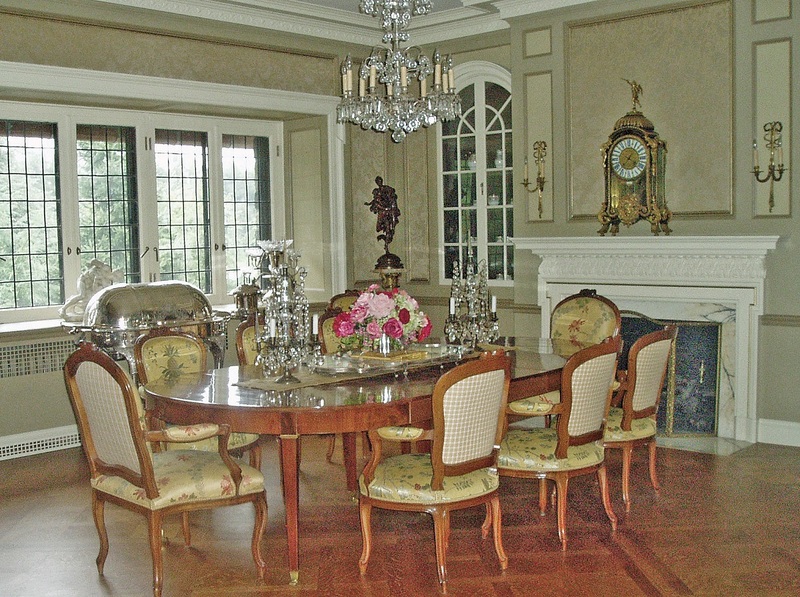 This Landmark Home in Rochester’s Preservation district has many distinctive features. 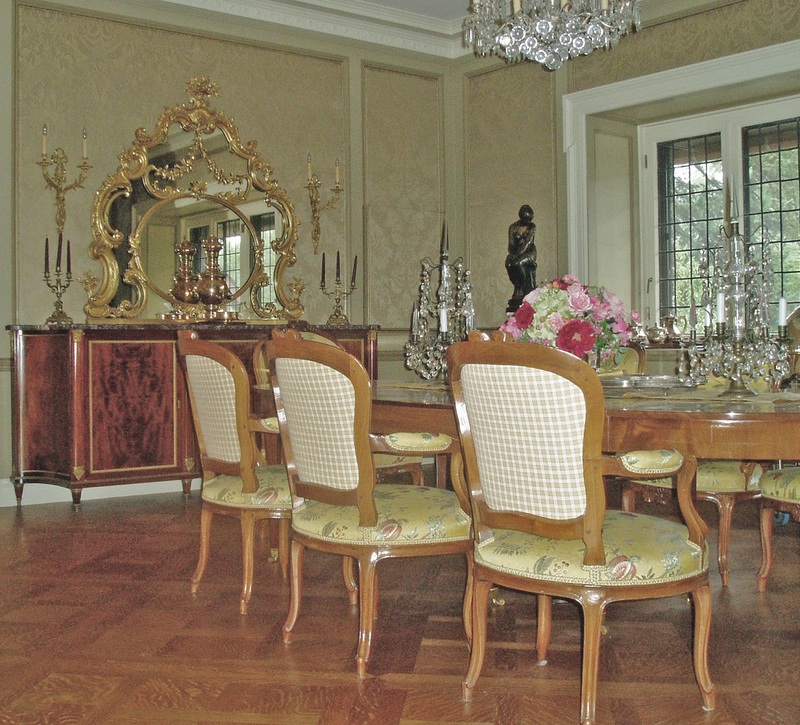 Architectural decoration in the formal dining room is enhanced with subtle tones of khaki colors, gold leaf detailing and upholstered silk damask panels. 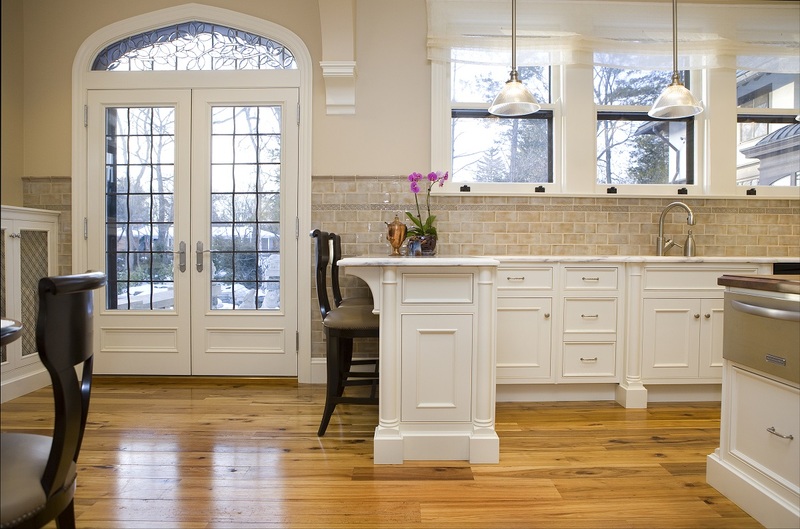 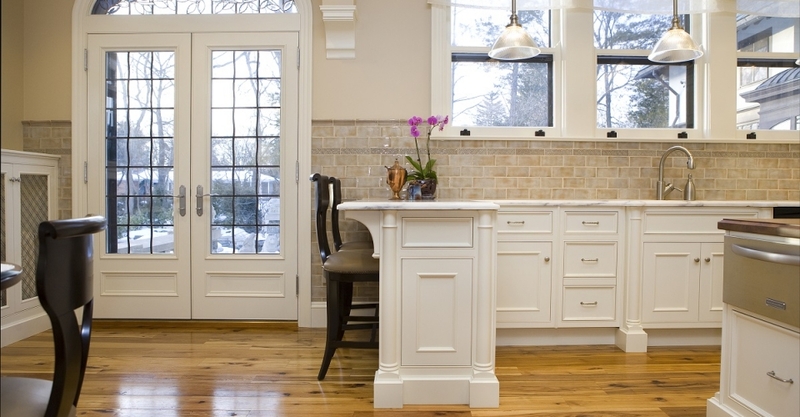 The original servant’s kitchen was completely redesigned so that it looks original to the house, yet accommodates a modern lifestyle with amenities such as a built-in circular banquette and peninsula with counter seating. 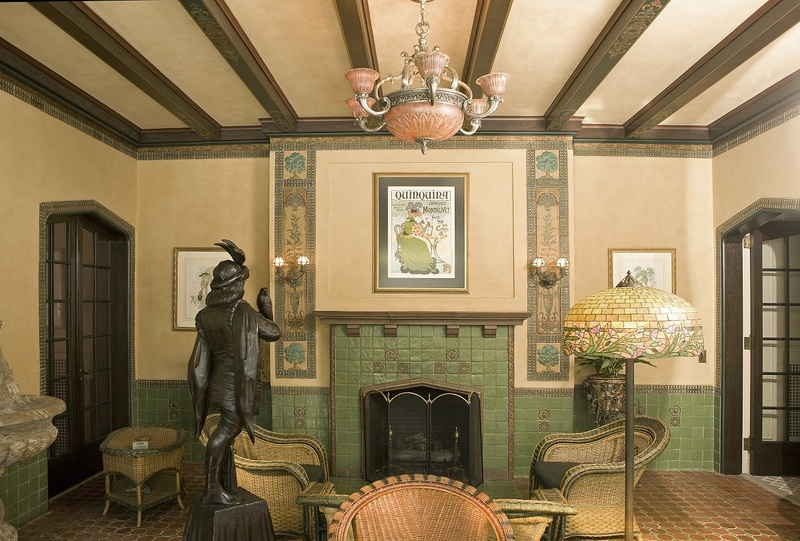 The conservatory has art nouveau tiles and decorative painting that have been completely restored to its original condition. 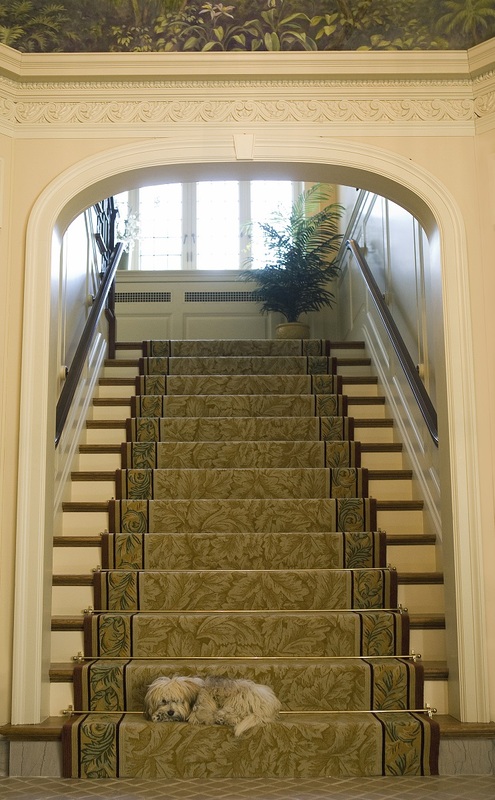 A custom Stark carpet complete with brass stair rods, follows the contour of the switch-back stair continuing through the second floor mezzanine. 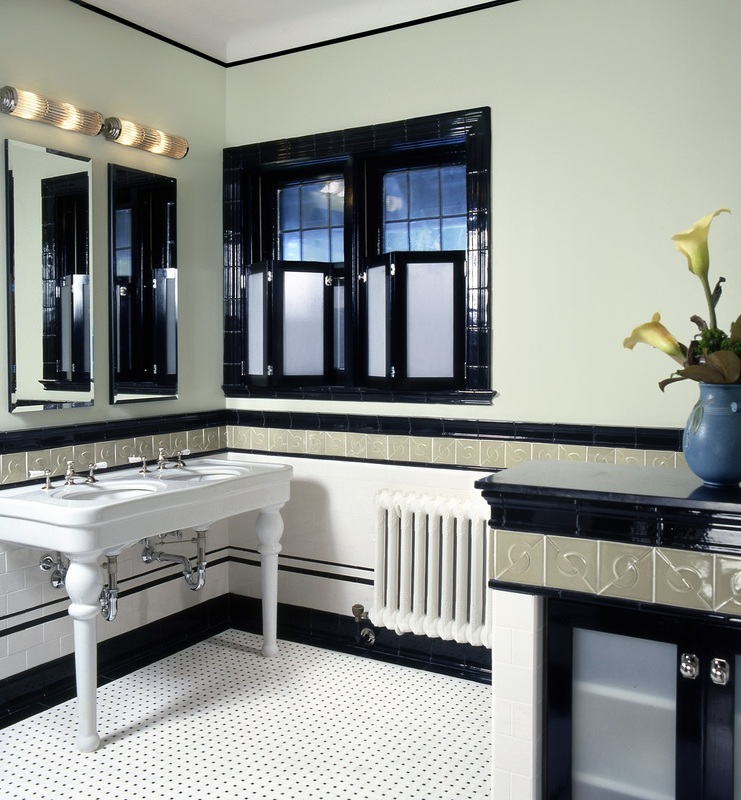 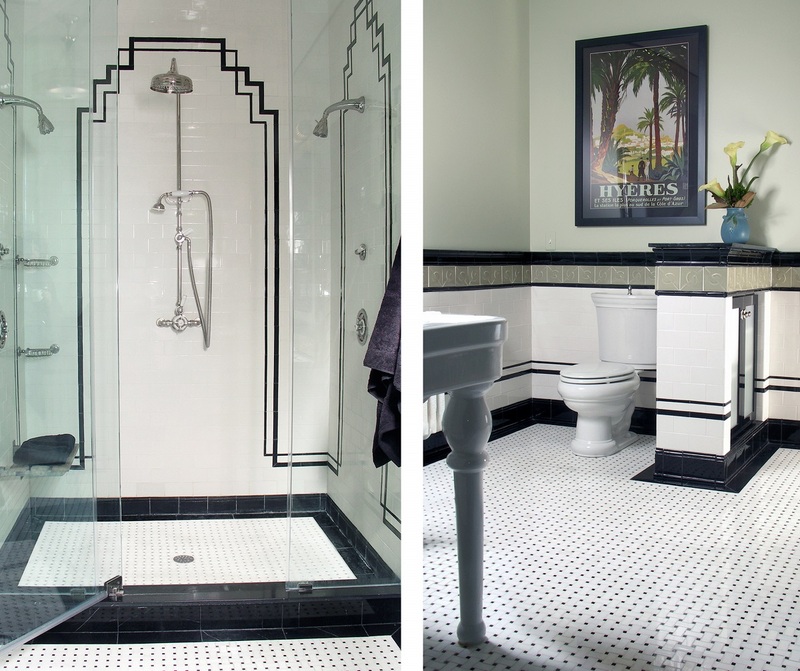 The room that I had the most fun with was designing the master bathroom to look like a period art deco interior, with an ‘empire state building’ motif on the walls of the new two person shower.